Over the course of the last several days, Chick-Fil-A has made quite a name for themselves. Set aside their reputation for delicious waffle fries and chicken sandwiches, they have a new reputation: as an anti-gay organization. I find it ironic they serve chicken, because the Chick-Fil-A organization is certainly acting like their feathered friends. Along with Dan Cathy's words are the company's donations to Exodus International and the Family Research Council - organizations that are rooted in fear, bigotry and hate - all under the guise of words like, "Bible," "Jesus," "freedom," "faith," "family," etc. Since Dan Cathy's statement, a social media storm broke out against the 6-day-a-week-fast-food-chain. The line has been drawn in the sand, and there are now two distinct camps. I stand with the Muppets. Of all the political, philosophical and religious debates that are forever going on in our world today, there is one I will engage in time after time, and that is the debate over civil rights as Americans, as citizens of the world. Citizens who have been given the God-given right of a free will to live their personal truth and consequently make choices that work best for themselves. 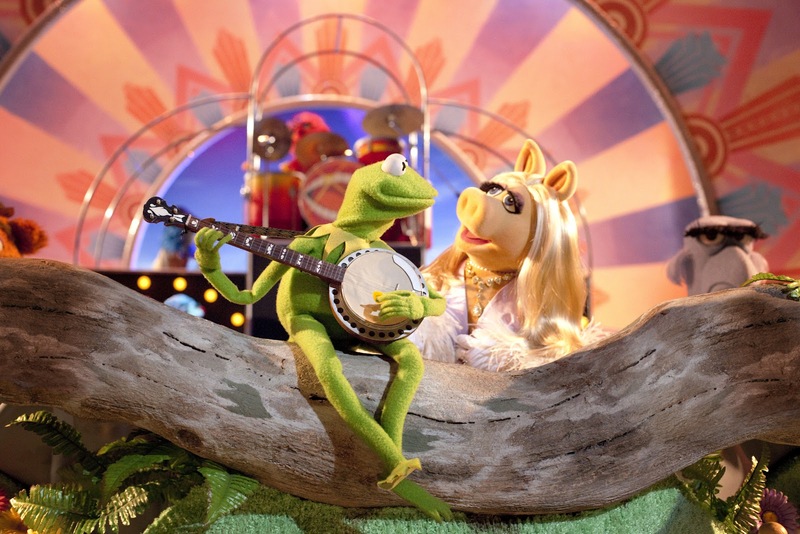 The Muppets have (brilliantly) taught us that it's not easy being green. They sing about the Rainbow Connection among us, a Pig is madly in love with a Frog, teamwork is key, sometimes you have to travel the world and back to help your friends. You don't stand at a podium and tell people they're wrong, they're despicable, and that they are the antithesis of everything God created. If you strip us all of the cloak of religion, what's left underneath? Aren't we all a huge human family, each with our own unique set of fingerprints? Didn't we all come to life after living inside a womb? How are we to just "do" and "be" when we came in to this world so unique that even the mere marks on our hands will never again be replicated? I'm thinking that uniqueness is really worth fighting for and keeping alive. If we're boiling this down to basic fundamental, human and civil rights, isn't it possible that Frogs and Pigs and Bears and Dogs and Martians all celebrate their uniqueness? There is love in that difference. And certainly, if two people know that the love between them is worth committing their lives over, then in this free country, let it be. Stop the bullying. Stop the hate. Let the love in. It may surprise you how much more in common we all have when that is the fundamental glue that binds us together. The "us" versus "them" mentality is only going to do one thing: keep us segregated, divided, and against each other.